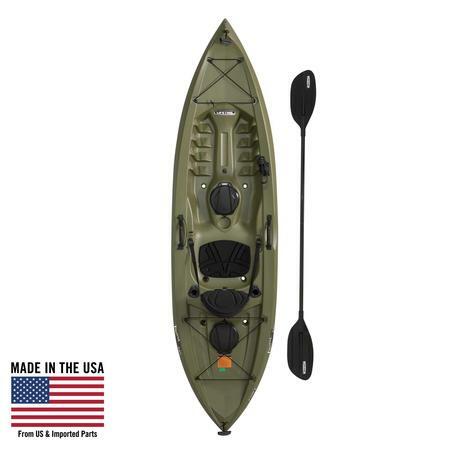 Lifetime Tamarack™ 10 ft. Angler Kayak - The 10 ft. adult kayak has a 275 lb. weight capacity and comes in olive green. This model is a sit-on-top (SOT) kayak and comes with a padded seat back, front and rear shock cords, two 6 in. storage hatches in the rear and center, two flush mounted fishing pole holders, one top mount rod holder, (1) paddlekeeper, and front and rear T-handles. Individually packaged with a 5-year limited warranty.